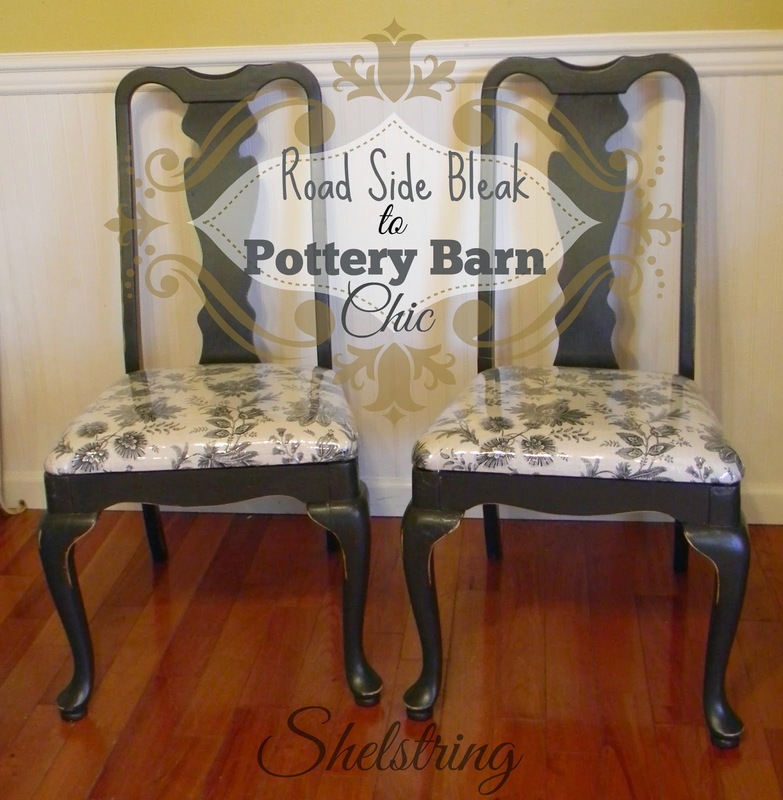 shelstring blog: Road side find to Pottery Barn style and I'm being featured at Must Love Junk! 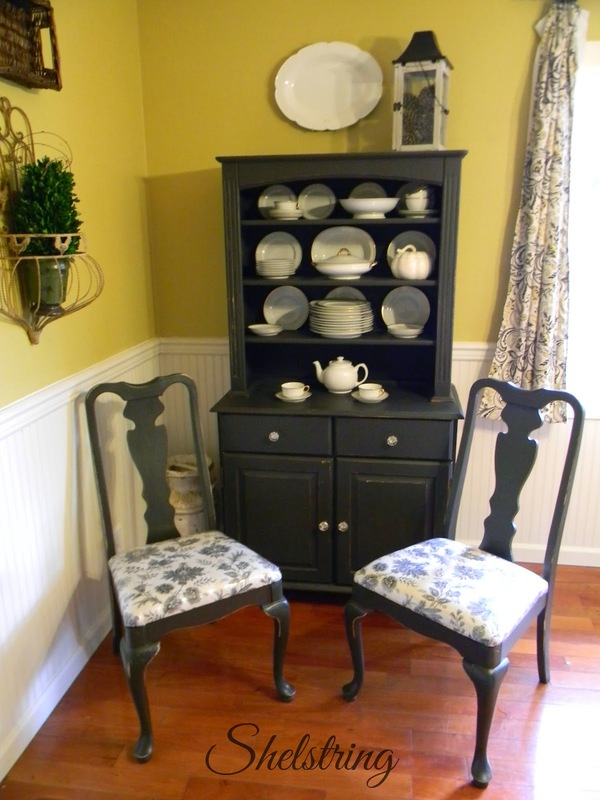 Road side find to Pottery Barn style and I'm being featured at Must Love Junk! 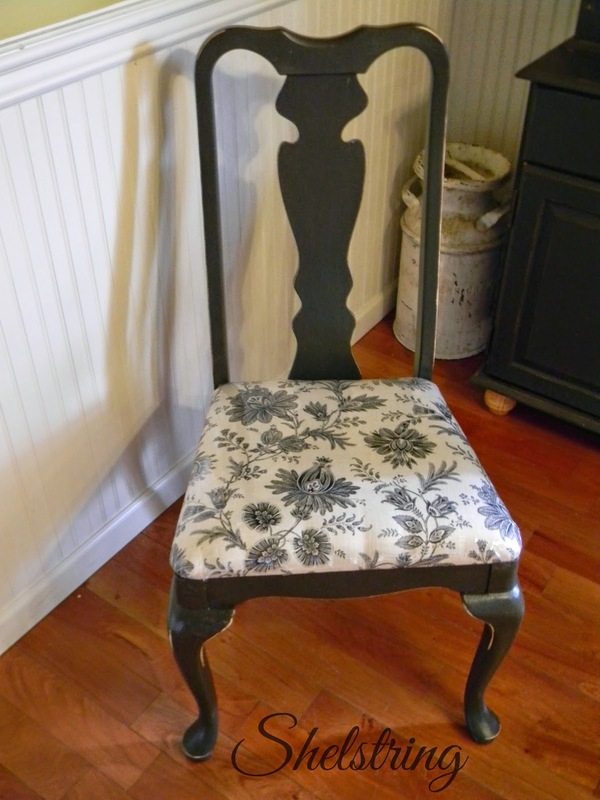 Before I tell you about my awesome chairs ;) I'm excited to share that I am being featured at Must love Junk all day today! Head over and visit me there as well. 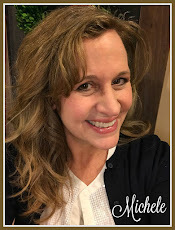 I love Susan's blog, so if you've never been there, you must click over (after this post of course...haha!). For those of you that are regulars, you will probably recognize her from the Summer Home tour series HERE. Now, on to my latest completed project. Over a year ago I found these chairs kicked to the curb up the street. They had a "Free" sign attached to them leaving no room to question whether the owners wanted them taken away. I drove by them a few times in my daily travels back and forth. At first I thought I didn't need any more chairs. I'm finding I have an obsession of sorts. So I tried to ignore them. I found myself mentally placing them in various parts of our house until I finally couldn't stand it anymore. I drove up the street in the dark, shoved them in the car, and drove home, finally relieving myself of the torment of just thinking about them. I put them in our mud room knowing that if they were in there I would work on them right away. This is an easy project after all, so they should be done in a jiffy, right? Not so. I simply had too many other things that needed to be done first. I was horrified when we had company and my family put them at the table in an effort to provide more seating. YIKES! They were so disgusting!! You'd think this would compel me to finish them. Nope! I just put them in my garage knowing that they wouldn't end up at the table again until they were finished. Lately they have been in a pile of future projects needing to be refinished. And there they sat. How long, I'm ashamed to say, I don't even know. I finally made it a goal to have them finished by Thanksgiving. I pulled them out a week or so ago while winding down one night in front of the T.V. and started painting them. I found myself really enjoying the process. 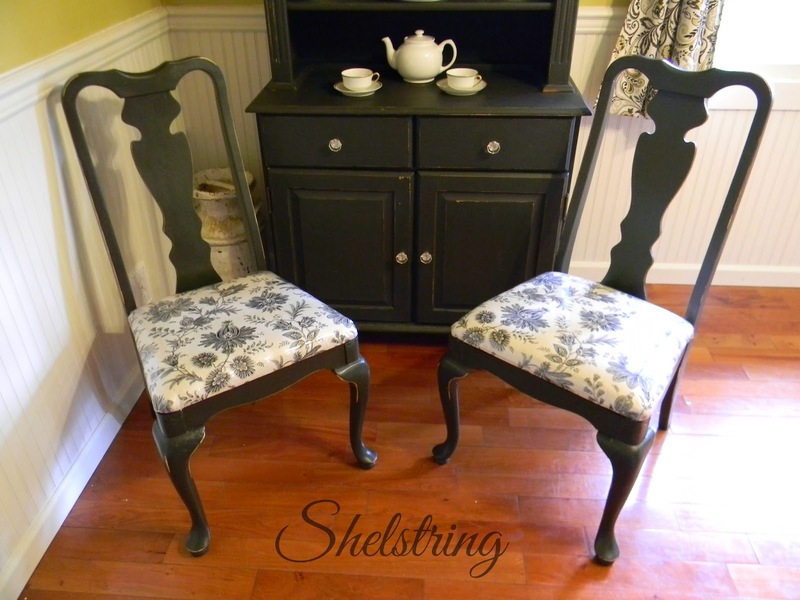 I painted them 3 times with homemade chalk paint (1C. flat paint to 3Tbs. calcium powder) and sanded them to give them a naturally worn look. I topped them with 3 coats of satin acrylic polyurethane. 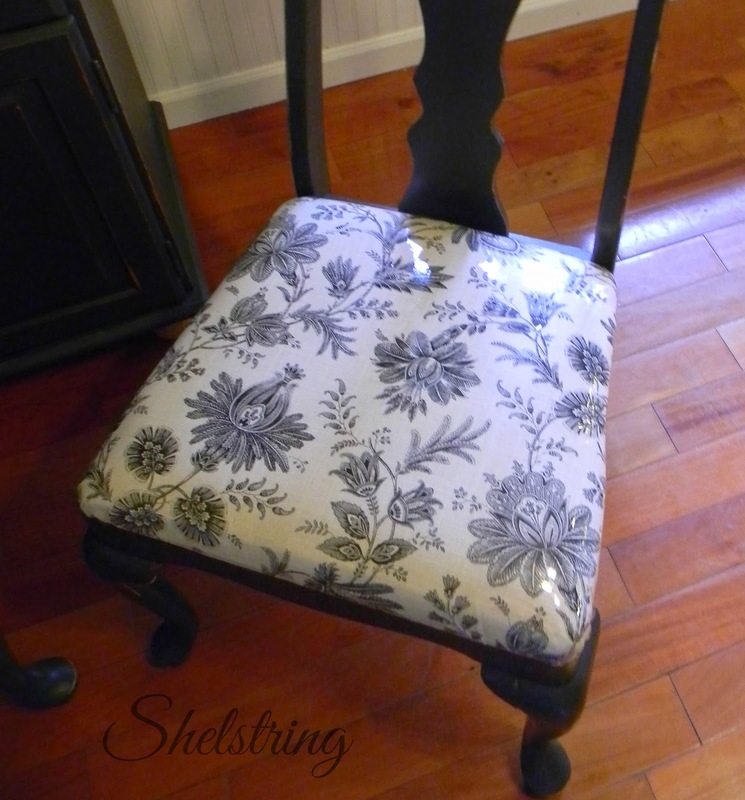 I re-covered the cushions with a fabric I fell in love with that I found at JoAnne's a couple years ago. It was a leftover piece from a valance I made for the kitchen. I topped them with plastic so that they are easy to clean. The chair on the left had a broken leg that apparently the previous owners tried to fix a few times and finally gave up on. My woodworking neighbor helped me fix it. I love a project that not only turns out the way you envisioned, but even better, don't you? Cute! 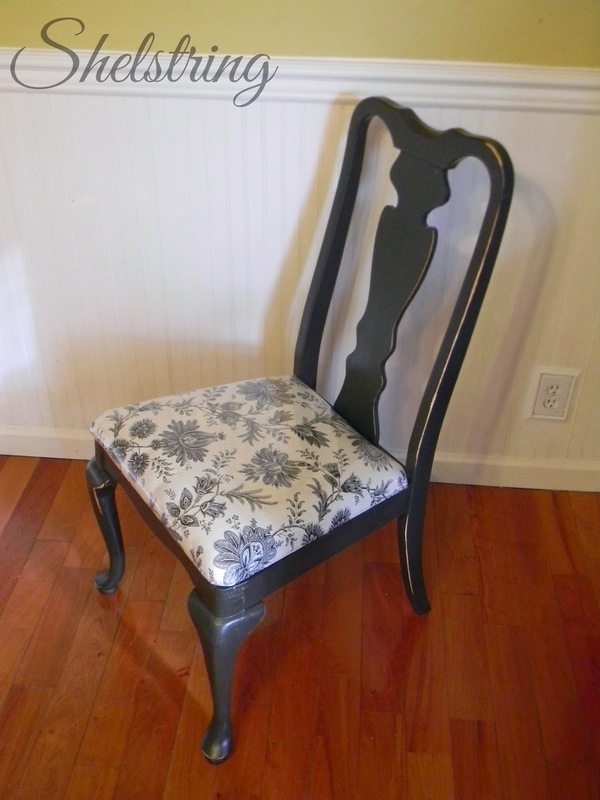 I have to admit, I HATE painting chairs - all those surfaces! Haha! I think that's why I took so long to get to them. If you dread it long enough, it doesn't seem as bad once you do it. Painting anything with spindles is a nightmare! 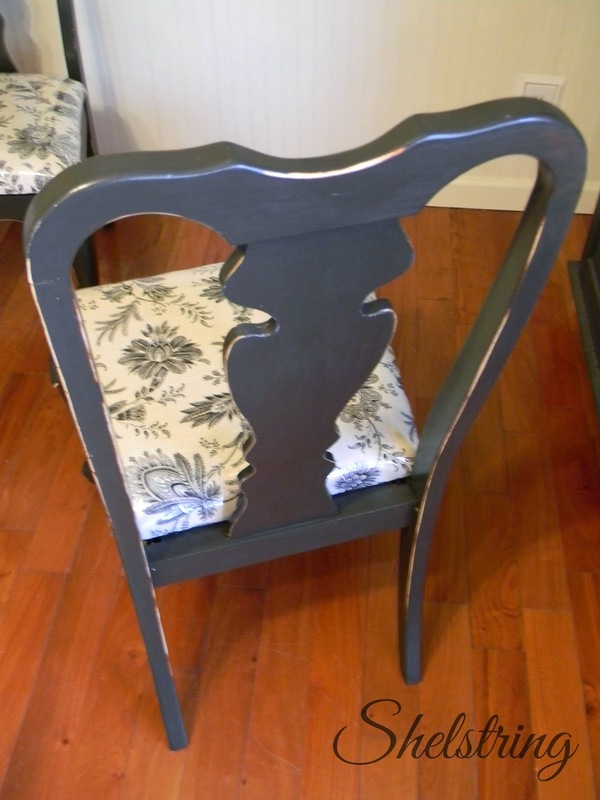 These are great chairs with wonderful legs. I also like that you put the matt vinyl covering over the white fabric which wouldn't have been white for very long at my place. I like to paint...anything! I agree Ginene, I think I'm lucky for anything white in my house to last longer than a week. Haha! 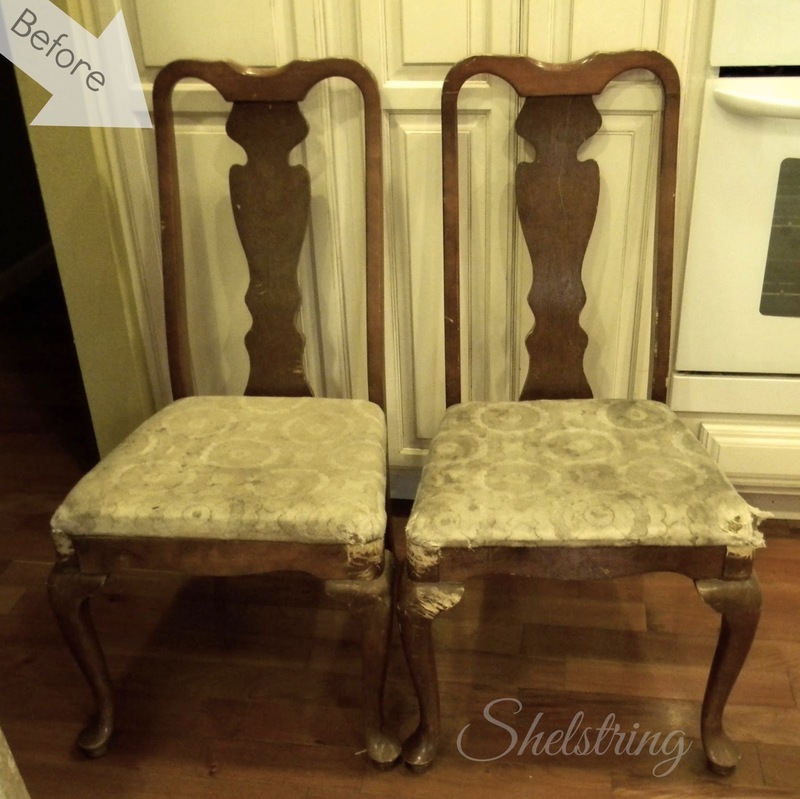 What a beautiful re-do...they just needed a little love! Hopped over from Must Love Junk and I'm a new follower on Bloglovin'! Good job! The chairs look awesome! 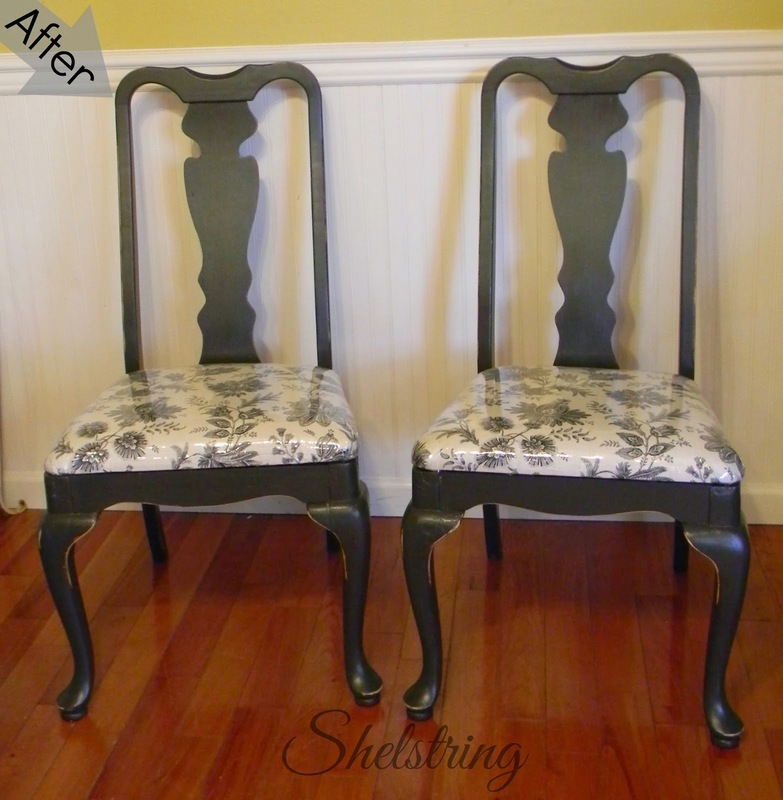 I love how the chairs turned out. You did a beautiful job. There is no better feeling thend finishing a nagging project. By the way, I think chairs follow me home. We have that in common.